We have a rumored plot description for the upcoming Spawn reboot. Ever since the project was announced by Todd McFarlane last year, who partnered up with Blumhouse Productions to finally try and do his character justice on the big screen, development has been somewhat slow. Shooting isn't even scheduled to begin until summer 2019, which means we likely won't see the movie until mid-to-late 2020 at this point. But thanks to a new report, we may know a little better what to expect when the movie finally does roll around. Keep in mind, this isn't coming from the studio, Todd McFarlane, nor anyone related to the production directly, so it should only be regarded as a rumor for the time being. With that out of the way, it's said that Spawn will center on Twitch Williams, a character from the comic book series, who is an NYPD detective that loses his daughter in a gang violence incident. Twitch enlists his ex-partner Danny to help exact his revenge on the criminal organizations of New York City. However, he soon realizes he's in over his head as two major criminal organizations are banding together to take over the seedy criminal underworld. So how does Spawn factor in? According to the report, Twitch is visited by Al Simmons, the man who becomes Spawn in the comics, who has knowledge of his daughter's death. Al then reveals himself to be the character we know; a messenger sent directly from hell to help Twitch exact justice on those who executed these crimes. For the most part, it's a straightforward gritty crime drama. It just so happens to have a justice-seeking spectre aiding a cop on his quest for justice. This largely fits in with what we've heard about the project previously. Todd McFarlane, who wrote the script and will direct, has said it won't be an origin story and that Spawn won't actually say a word, comparing him to Jaws, and saying that the movie will be a hard R, to the degree that he wants to make little kids cry. Jamie Foxx has signed on to play Al Simmons/Spawn and it sounds like the workaround of having Al actually appear may be why Foxx felt the role was meaty enough to sign on for. 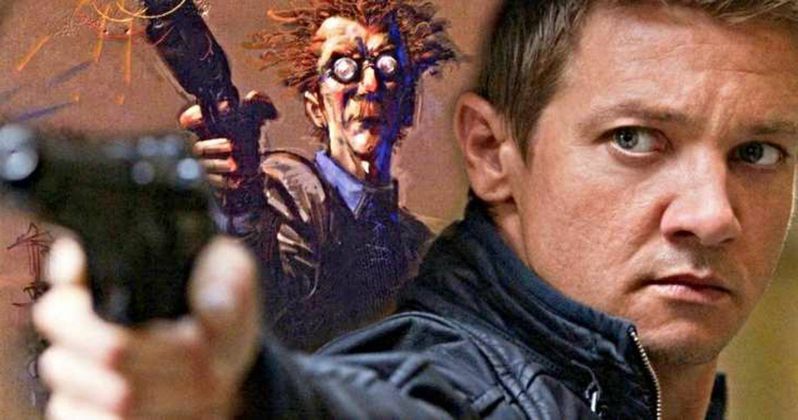 Jeremy Renner is signed on to play the role of Twitch. There's no indication yet as to who will play his ex-partner Danny. It's been promised from the very beginning that this would be a very different kind of comic book movie and, if these plot details are accurate, it certainly sounds like that's going to be the case. For now, Spawn remains without a release date as the production keeps getting pushed back, but every indication is that the movie will finally shoot next year, with the hopes of making up for the sins of the famously bad 1997 live-action adaptation. Fingers crossed. This news was first reported by Super Bro Movies.